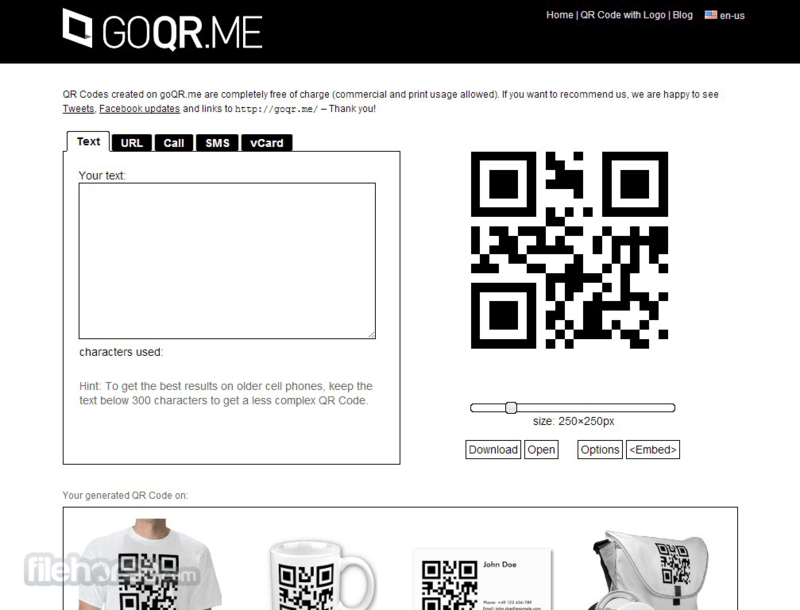 GoQR.me is a fast and useful web application for generating QR Codes for both personal and commercial use. 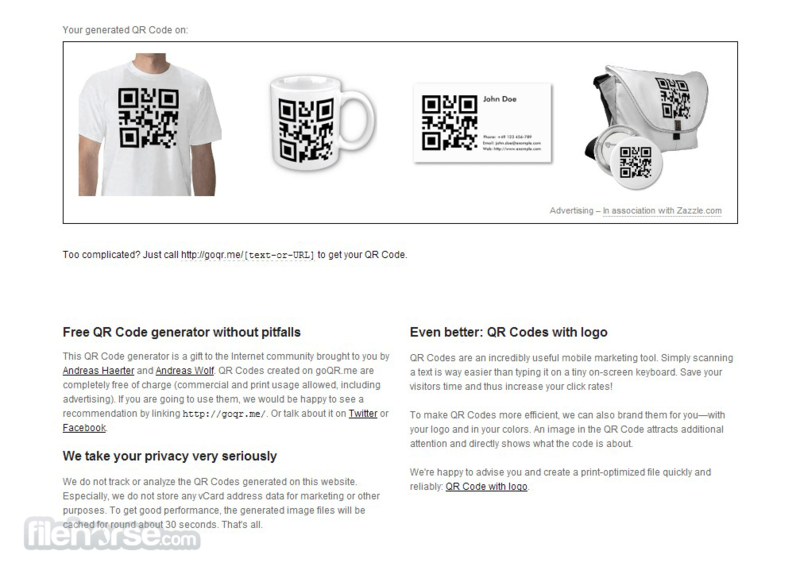 Service is fast, intuitive , and it offers to instant ability to share and download newly made QR codes without any restrictions or payments. 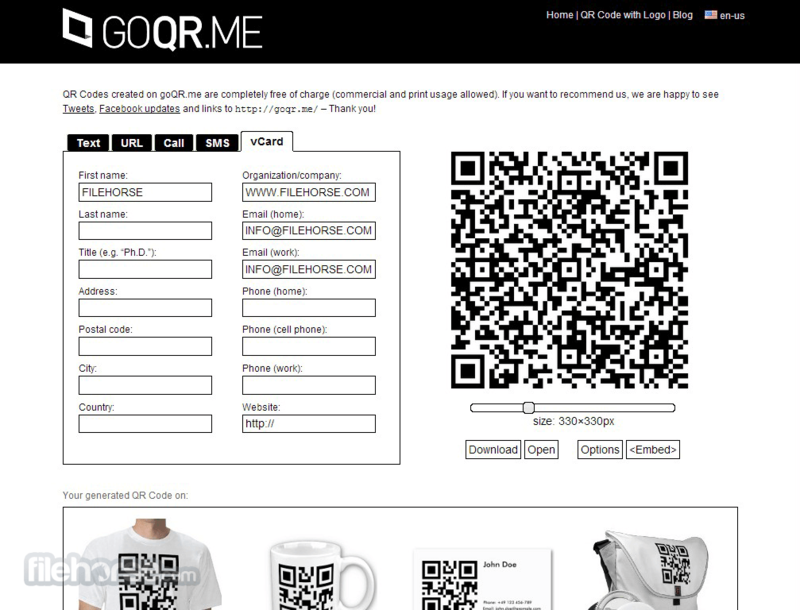 GoQR.me can create codes that can consist of plain text, URL’s, telephone numbers, automatic link for your phone to dial a number, send predefined SMS message to number of your choice or hold vCard with contact information. 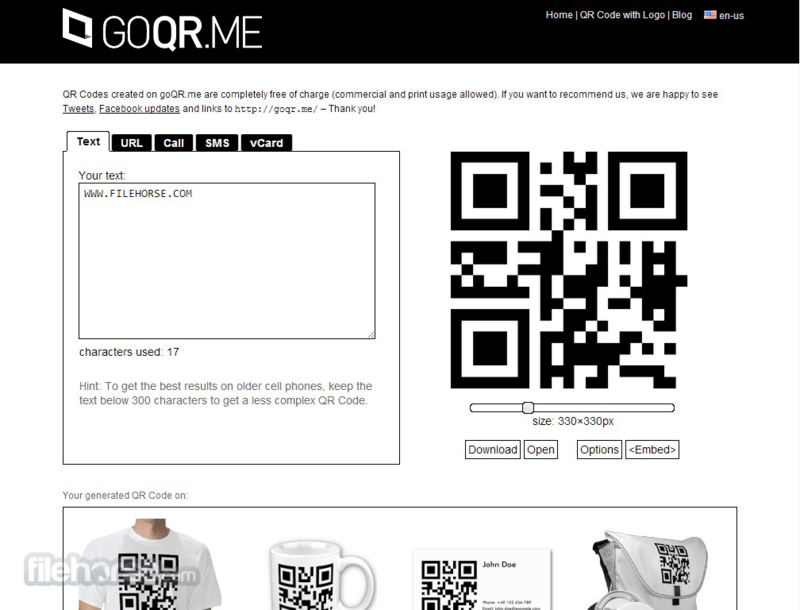 Simply put QR code possibilities are endless and GoQR.me is perfect free application without any restrictions or disadvantages.